Fresh picked-when-they're-ripe strawberries are the best, but remember that you really do need to make the jam immediately. (Or the pie, or the ice cream topping--whatever goodness you have in mind.) The strawberries you usually see at the grocery store were picked green and put out when they are nearly ripe--they last longer than strawberries that are allowed to ripen on the plant. (You can put whole, unwashed berries in the refrigerator, and they last longer.) The strawberries we jammed the first day were a lot happier with life than those that had to wait until the second day. Reading this brings two things to mind. The first is from the picture, reminds me distinctly of a similar picture taken many years ago while I was living in the dorms. A floor-to-ceiling wall made of Sobe bottles . . . that was fun to watch. 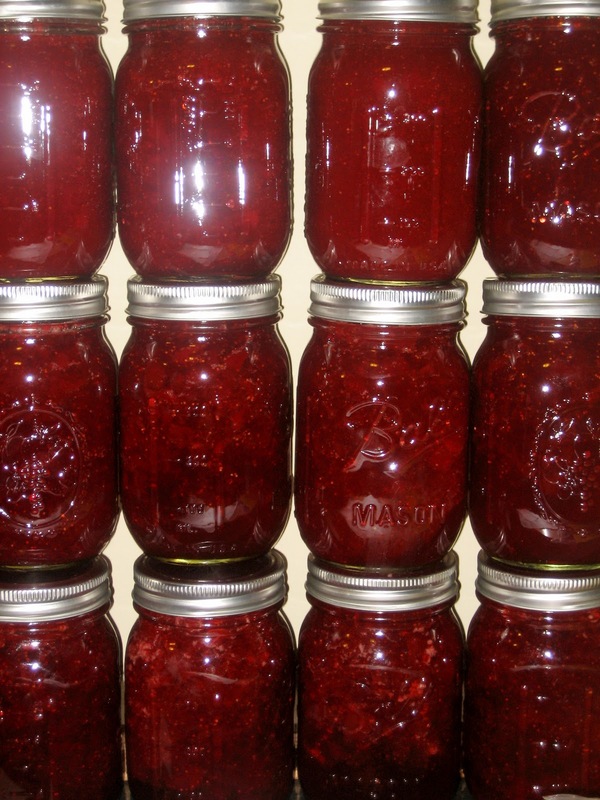 The second is that I am very jealous, as fresh strawberry jam is the BEST jam ever. Just say.